What do gypsy moths, lost glassware, alcohol volumes and shipping deadlines have in common. They all almost stopped the 1st Edition Scotch Whisky Calendar from ever getting to market. I could literally create a very long list of key moments over the past year where we had to overcome a project killing challenge. At a later date I will no doubt be able to tell even more of the story but for now I will just list four major obstacles that all threatened to derail the Scotch Whisky Advent Calendar train. One which was in our control and 3 that were not. Firstly after exhaustive proof reading by not only us but 5 other seasoned pro’s 3 of the 25 whisky labels ended up with the wrong alcohol volume upon their arrival in Scotland. Our Scottish Bottler’s Craigton Packaging did a great job in finding a local source to re-do the labels however this definitely held up the production time by almost 2 weeks. One other label was also left intentionally blank as the cask had not been tested when the labels were initially printed. Those who have a calendar will be able to spot this as it is the only whisky that has the alcohol volume hand written by the awesome staff at Craigton. So with newly minted labels and a looming deadline things became very stressful as we realized that the drop dead shipping date was quickly approaching. The final hurdle to having the whiskies released and ready for shipping was the signing off on the paperwork so that the in-bond alcohol could leave the bottling plant. It was at this stage with multiple emails and phone calls and seemingly very slow progress we received word that all the 50ml mini’s had to be ready for pickup the next day or we would miss the boat and our chance to sell into the market before Advent began. As it was, our shippers Containerworld would have to do something extraordinary by picking up the shipment and load it into the container then onto the ship the same day (pretty much unheard of). I sent a last email to all concerned stressing that it had all come down to making this deadline and went to bed not knowing if it was all going to be done when I woke up the next day. To say I had a fitful sleep would be putting it mildly. At 3:30am I sat bolt upright in bed and reached for the iPad only to see no emails from the UK as yet even though their day had already begun. Falling back to sleep I managed to get through till 6:30 and with fear and trepidation I opened my email to find………..CONFIRMATION that everything shipped. My wife and I shared high fives, hugs and tears of joy. I don’t ever think I have gone from being asleep to being so completely wide awake in my life. So with the whisky now safely on it’s way to Canada we turned our attention to the calendar boxes themselves that were on the water and due to arrive in Vancouver from China within a few weeks. The timing of everything coming together was crucial, in the background we had the Spiegelau whisky tumblers shipped from Ontario to Edmonton to have the 1st edition logo added before then shipping them to Connect Logistics to await the arrival of all the other components. Imagine my surprise when in the middle of a freak Fall snowstorm in Calgary I get a phone call that the completed glasses are about to be delivered to my home rather than to Connect in Edmonton. Well after diverting the truck to its rightful destination it was delivered to the wrong receiving area and so they were swallowed up for over a week before finally being found. Know that when you take your first sip of the Day 1 whisky that your 1st Edition glass is extremely well traveled. So onto the calendars themselves. having allowed an extra month of time in making sure that they would be at Connect in plenty of time we were set to become so very very thankful that we had that time available to us. Upon reaching the Vancouver port it was discovered by the Canadian Customs Port Authority that the ship in question had a Gypsy Moth infestation. It was immediately quarantined and sent back out to international waters for the crew to rid the vessel of said infestation before they could return for unloading. These things don’t happen quickly and it was almost 3 weeks later that the calendars were unloaded and on their way to Connect in Edmonton. So now Connect had the job of putting together the various pieces for each calendar as well as inserting the correct whisky into the correct alcove. Just so you get the full picture below is a list of everything that had to be added to the calendar before it could be placed in its box ready for sale. Connect Logistics did a great job in putting this all together but in order to maintain quality control only one person was allowed into the “calendar quarantine area”. 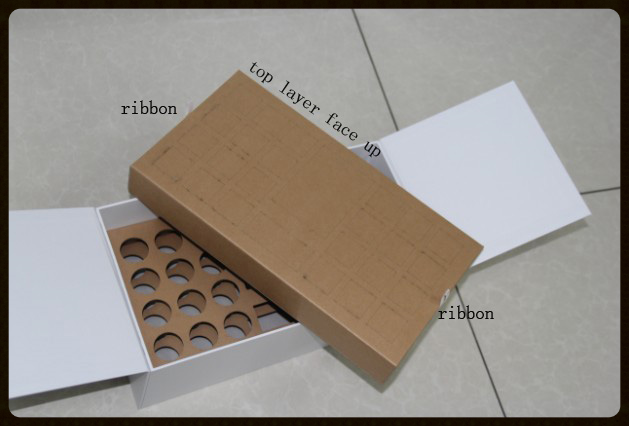 The entire process from receiving to hitting the warehouse and being available for sale took another agonizing 2 weeks+. Our initial aim was to have the calendars available at the end of September at the latest with our emergency only backup plan being the end of October. The first calendar allocation was available for retailers on the 28th October and 76 cases went out to stores that week. Talk about using every single day to hit a deadline. I can sit back now and report that every single case has been accounted for and ordered and already most retailers have sold out. By the time you are reading this there will be very few available on shelves so I hope you have yours safely tucked away waiting for December 1. I could and might possibly write a book about this whole fun ride at some time in the future when I can divulge more about some of the additional challenges we faced. This has been an all consuming passion to bring this 1st Edition to you and what makes me most happy and fulfilled is to see the glimmer of childlike expectation and excitement when I see someone look at a calendar for the first time and scurry to the till with one of 400 safely tucked under their arm. This one is for you my whisky loving friends! 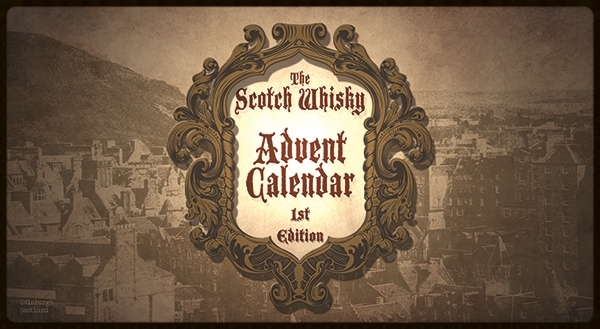 Welcome back to part 4 of the 1st Edition Scotch Whisky Advent Calendar story. So, with 2 thirds of the whisky selection secured but not finalized I still needed another supplier to complete the line up and then go through the individual whisky choices. Having been an avid proponent of Independent Bottlers throughout my entire whisky career, I have been approached by various different companies that have seen the benefit in having someone passionate about something that at times can be a difficult educational piece for the greater whisky market. About 4 years ago, I was introduced to the Wemyss line of Independent bottlings while pouring at a whisky event in Chicago. At the time Wemyss was in it’s infancy in the US market and had no real distribution in Canada either. I didn’t know it at the time but Wemyss was going to play a vital role in being able to make the 1st edition a reality. Over the course of almost 3 months, I had been back and forth with the suppliers involved, honing the whisky list and making sure that consumers would be taken on a journey of discovery through different ages, regions and cask types. The whisky list was actually 98% complete when I received the difficult news that one of the initial suppliers had to pull out leaving me a mere 2 weeks to secure a replacement. After the initial panic subsided, the realization that Wemyss were waiting in the wings for just this opportunity, meant that we now had the best of all backup plans. The Official launch of Wemyss into the Alberta market showcasing their single cask bottlings had Jacqueline buzzing with enthusiasm as she quickly confirmed that they were ready to fill the gap. We were able to quickly finalize what would become the completed 1st Edition Whisky list just in the nick of time. It all came together perfectly, 25 whiskies that showcase all the major Scotch Whisky Regions and styles. 18 of the 25 are unique Single Casks only found predominantly in the calendar and the limited number of 700ml bottles that will be available from the 1st December at a select few Alberta retailers. Those lucky 400 that manage to snag a calendar will be able to secure a bottle or two of their absolute favorite whisky. Samaroli, A.D. Rattray and Wemyss – 3 top notch independent bottlers all with their own unique take on releasing and marketing the very best that Scottish Distilleries can produce. So, with the whiskies finally confirmed you might think that we were over the line and that additional challenges would be small and inconsequential. Little did we know that the toughest part of this testing road was yet to come. The rubber hits the road as next week we delve into just how much it truly takes to follow your dreams. Until then, whatever your dream is – go out and reach for it with everything you have. The heart of the project of course is the whisky. The range and quality of the Scotch had to be impressive. Above all though, especially after looking at feedback on the Master of Malt calendar which utilized already bottled whisky and a lot of very familiar drams. We wanted to have 25 completely unique whiskies the majority of which had not been seen before in the Alberta market and a lot of which had not been seen anywhere. The build up to choosing the whiskies that would eventually become the map for the 1st edition began almost two years ago. Spending a lot of time at whisky events in both Canada and the US I get to meet a lot of people and have developed some great relationships over the years. One such relationship is with Samaroli. I met Antonio for the first time at the Universal Whisky Experience in Las Vegas and was impressed by their sometimes unique take on Scotch Whisky and their dedication to only bottling the very best casks. Their whisky resides in big heavy black bottles reminiscent of something a vintage port would come in. There are a few marketing reasons behind the dark glass. Samaroli like to release their whiskies at anything from Cask Strength right down to 40% depending on when they feel the balance is perfect. They never chill filter and the potentially cloudy whisky at lower alcohol levels will not put consumers off safely hidden by the glass. The bottle is unique and substantial and leans more towards their Italian roots setting them apart and giving them a point of difference. After bringing back some samples from the Vegas trip it took another year before I met Francesco who was flying through Canada after a visit to the US. It was at that meeting that I first spoke with a whisky supplier about the calendar project. Francesco was immediately engaged and could see the potential to showcase Samaroli and reach new consumers. My first whisky source was on-board and willing to showcase some of their best whiskies. My plan was to have 3 suppliers in order to be able to have 25 unique whiskies from all the major whisky regions in Scotland and covering all Scotch Whisky styles. A supplier very near and dear to my heart is A.D. Rattray. The first bottle of Scotch I ever sold was in 2006 and the introduction of A.D. Rattray into the Alberta market was some of the most fun I have had in this industry. With completing new branding and the building of a distillery in Glasgow The Morrison family and A.D. Rattray have been busy to say the least. The biggest challenge for an Independent bottler is always continuity of stock and in order to secure ongoing whisky for the future there needed to be a period of unavailability. The opportunity to re-launch the A.D. Rattray brands and showcase some exceptional casks came together for me at just the right time. I am really excited to have A.D. Rattray as part of the 1st Edition and cant wait to see the feedback on their whiskies. At a meeting in Palm Springs with Industry legend Tim Morrison and his son Andrew the concept and plan for the calendar was laid out. The idea of “sampling” customers on their whiskies in a fun and unique way and then tying in the ability to seek out a very limited number of full bottles had them on-board. So with two suppliers confirmed there was only one spot to fill. 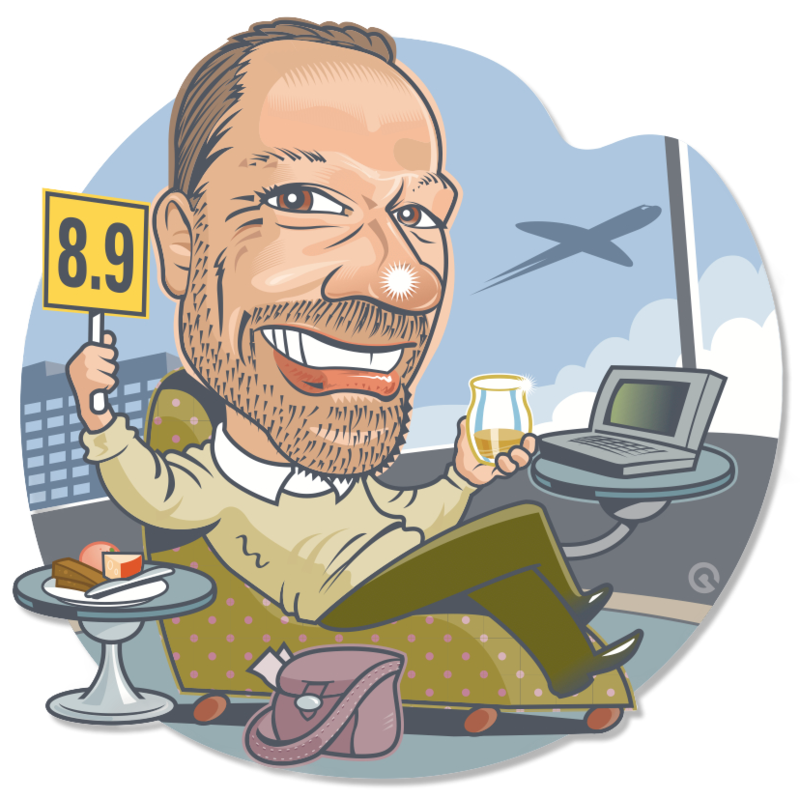 Next week I will cover the long and almost fatal road to completing the whisky list. Anything that is really worth doing will definitely test you. I would have to say that this past year has been one of the most challenging of my working career. Armed with an idea backed up with passion and a decade of industry experience I set out on a path that has changed my life and helped to push me way beyond my comfort level. Sitting down and trying to define the building blocks for what has become the 1st edition was fun to say the least. Giving what I had envisaged as a starting point to Cindy for design and graphics and watching her develop something outstanding really cemented us as a great working team. In early February this year we laid down the first outline of what the calendar package would look like and how it would function. Seeking a production partner to deliver a high quality calendar that would look and feel substantial was a challenge all on its own. We tendered out to companies across the globe and were really hoping for someone close to home to come through. Alas the Canadian efforts were summed up in two words “epic fail”. One young talented Chinese producer “Michael” really took the initiative in a major way. 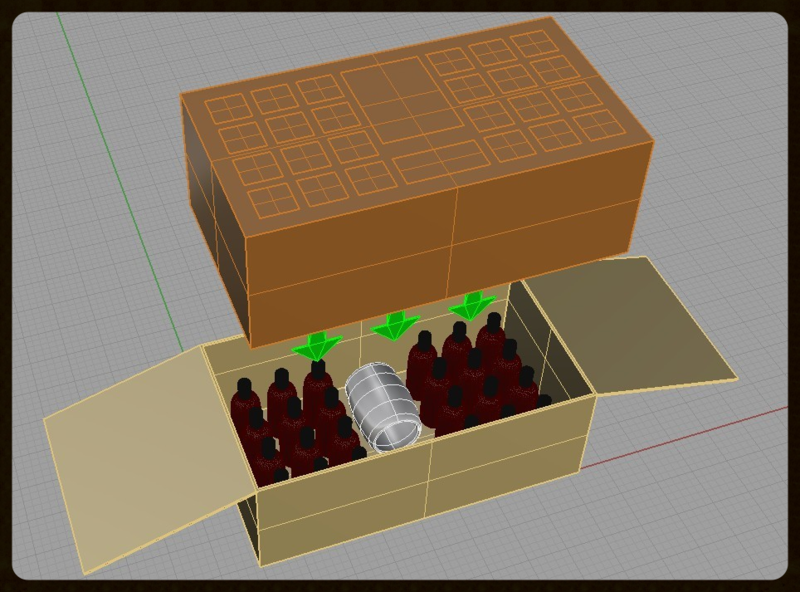 Within a day we had a 3D graphic of a mockup he had made which looked extremely impressive. Within one week that prototype was on our doorstep. Michael continued to bounce ideas back and forth with Cindy as they added more and more detail and “wow” into what was going to become the finished product. Different than a traditional Advent calendar our version has two doors that open to reveal the secret numbered whisky alcoves. These doors are held in place with hidden magnets and allow for space on the inside to hold “extras” like a keepsake brochure with room for personalized tasting notes and other special items. It was during this time that the graphics really came together. After many rounds of initial mockup design we settled on a Charles Dickens Edinburgh, with lamp lit cobblestone alleyways and a panoramic view of the city. The back of the calendar looks up to Edinburgh Castle in an age worn sepia, complete with smudges and whisky stains from drams consumed long ago. 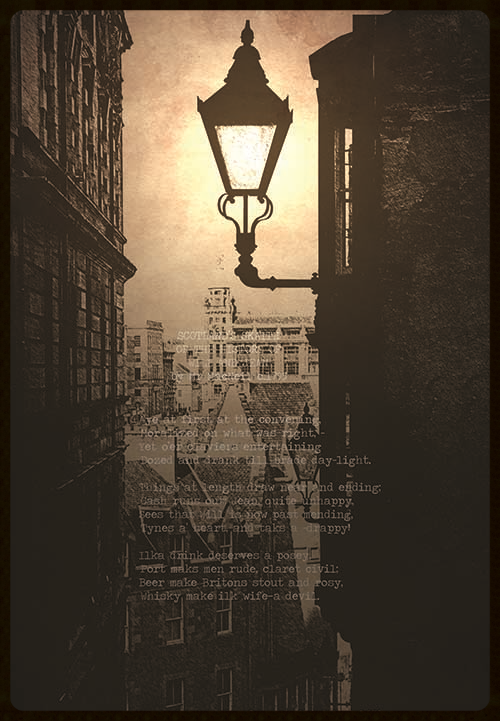 Barely visible in the dim evening lamplight of the Edinburgh alley is a whisky poem dated 1795. Trust me when I tell you that you might need a good flashlight to help you read this historical piece. Lamplight was pretty dim back then. Next week we will delve more into how the whiskies were sourced and more of the extras that made their way into the final version. Don’t worry there will be no spoiler alert. We will not be posting a complete list of whiskies till Boxing Day.